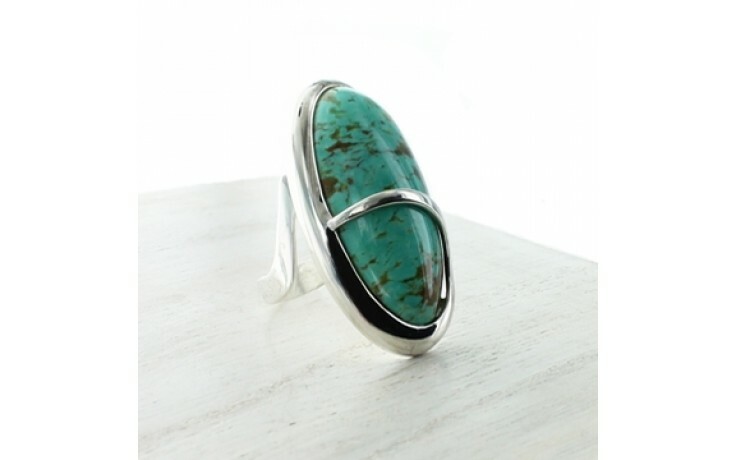 An oval cabochon of blue-green Tyrone turquoise is set into sterling silver and overlaid with a swirl of silver on top of the stone. The wavy shank is narrow and fits true to size. The setting measures 1 7/16" long by 3/4" wide. 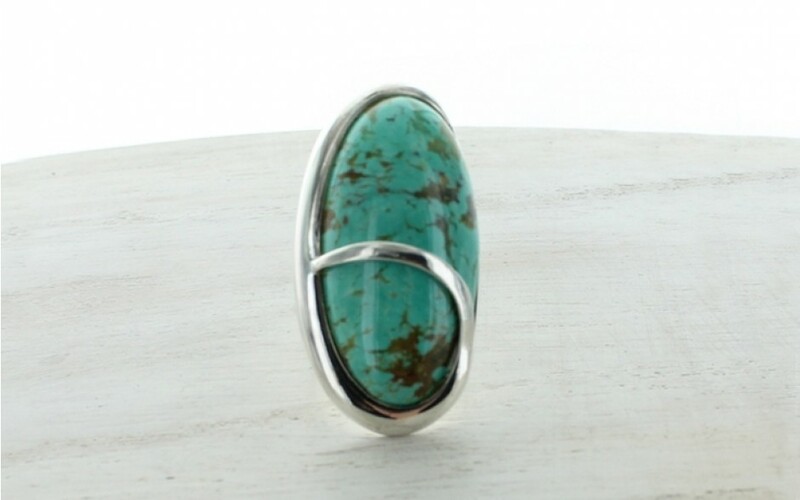 The turquoise was mined in the USA.